After a good walking season in the spring, summer and autumn of 2014 we took the print versions off the shelves just before the winter. We are reaching most of the people online anyway. The new Ohrid City Walk and the renewed Skopje City Walk have been eagerly ordered as PDF and printed at home, and/or stored on the iPad. Even in the winter the occasional brochure has been ordered. With the cheap Wizz Air flights, more and more tourists visit Skopje for a city trip. Now that summer is on it’s way, Ohrid with it’s clear blue lake is also getting popular again. 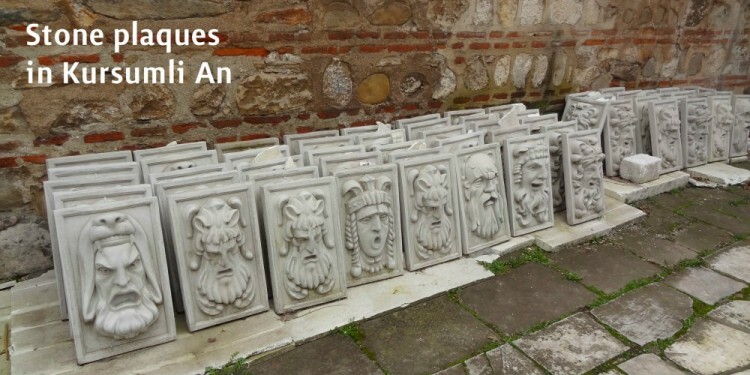 The first city walks for this spring and summer season have already been sold. Let’s make the most out of the upcoming beautiful walking months! While the last spring rains are still hanging over Macedonia, we are ready for the summer. Firstly, our new website is in the air, as you can see. We are no longer Skopje City Walk, we are Walking Macedonia. Because besides Skopje, also Ohrid now has a brand new city walking guide for tourists who like to explore cities on foot. 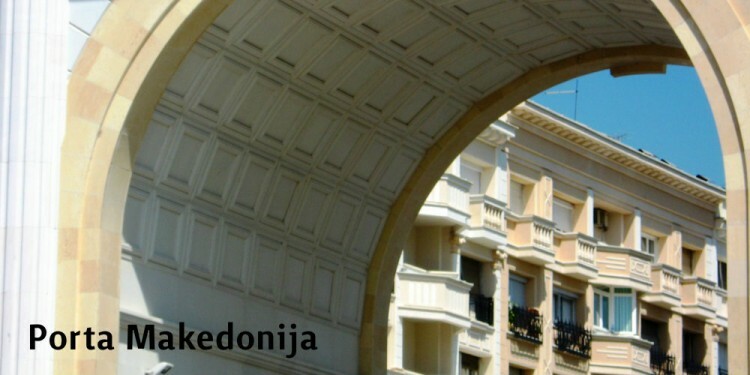 The beautifully designed city walks of Walking Macedonia, interesting information, photos and all previous blogs can be found on our new website: www.walkingmacedonia.com. And you will be able to purchase the city walks in one click, which will then be directly sent to your mailbox. 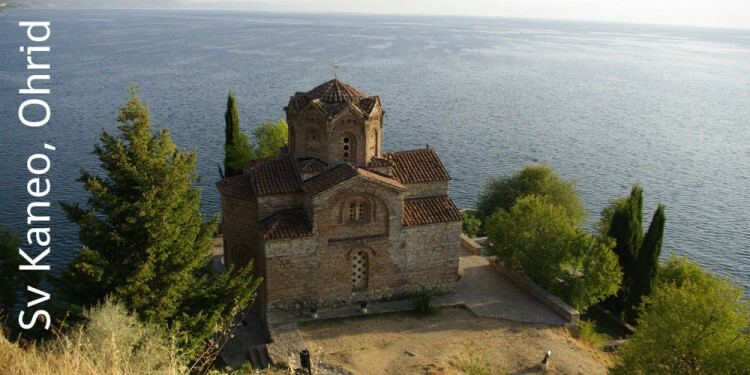 Discovering Macedonia has never been easier! Over the past few months, we have been working hard behind the scenes. ● Firstly, we gave the Skopje City Walk an update: the text has changed here and there and the design is now even prettier. ● We began with creating a mobile app as well, something that was high on our wish list. We need a little more time for that than we had imagined, but the app will come out soon nevertheless! ● We also spent a working weekend in Ohrid, to create an Ohrid City Walk as well. Ohrid is by far the most popular city of Macedonia and truly a tourist attraction, but even there was still no city walk available. ● Our fourth project this winter and spring was to create a new website that looks more professional and is better suited to our extended selection. In two weeks, we expect to complete most of these projects. At that time, the latest versions of Skopje City Walk and Ohrid City Walk will be available online as nicely formatted PDF versions, which will be automatically sent to your inbox. We will then unveil our new website as well, in the same colorrful design as the brochures. We are looking forward to it and we hope you are as well! 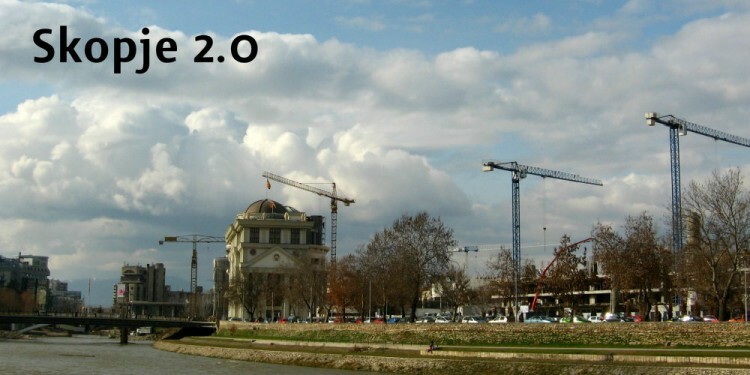 What should definitely be included in the update of the Skopje City Walk, according to you? The fun thing about Skopje is that it is a city in development. This was already the case before the project Skopje 2014, but is all the more so now. At an alarming rate, the center of the city is taken to task. Large and small changes stack together and contribute to a new sight of the city. Skopje City Walk cannot let this go by unseen. We are working hard on an update, to be ready in the spring for yet another tourist season. The number of visitors to Macedonia and Skopje continues to rise and thus we expect a great demand for the city walk again this summer. 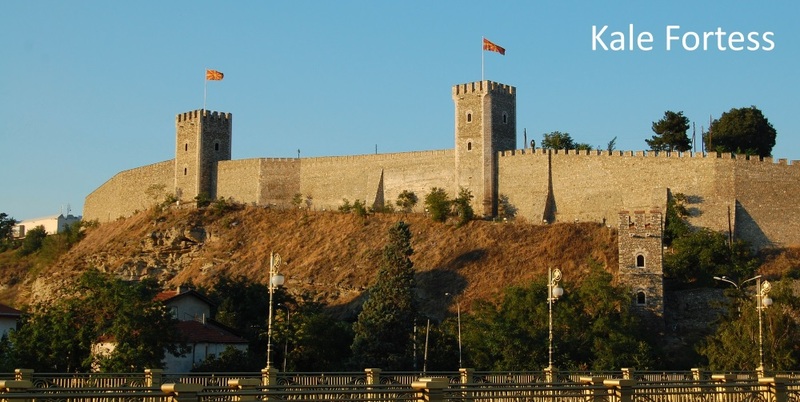 We are interested to hear your ideas about which sights or information about Skopje must be included in the new version. 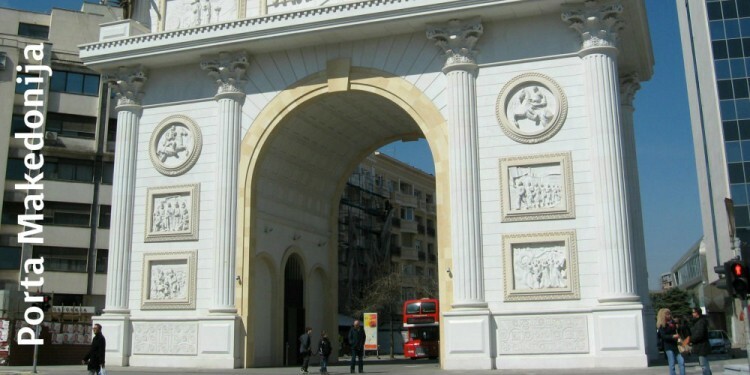 What are the key ingredients that one should not ignore when visiting Skopje? If you have not ‘walked The Walk’, we would like to hear what your motivation to purchase would be. How will Skopje City Walk in your opinion become essential for a tourist in Skopje? We walk onto the square. It is early November, but the sun is shining delightful. The fountain of the Warrior on Horse is being covered with thick plastic to protect it from the cold of winter that will soon arrive. Next to the entrance of GTC mall it smells like a log fire. Men are roasting sweet chestnuts. We get a small bag for only 20 denari. 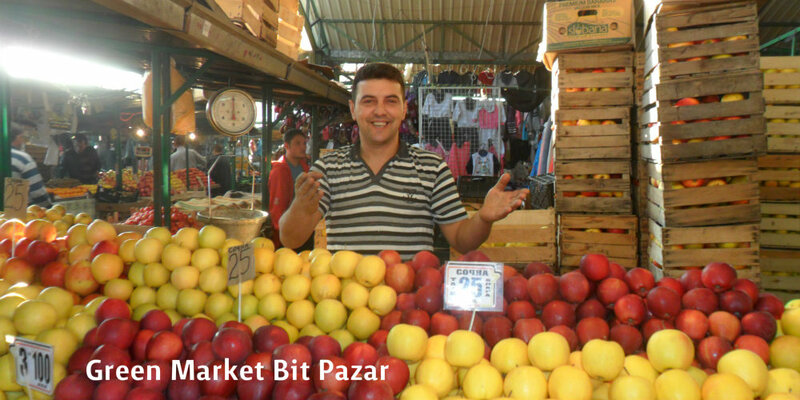 While peeling, we walk to the Vardar. The half-finished ship in the river promises to become an attractive restaurant, but for that we will have to wait for spring. In a bit, dusk will fall. We pass by the new pedestrian bridges and walk along the promenade the Kej. In which restaurant will we order a hot chocolate? This chocolate treat is different than in any other country we have ever been to. It is not hot chocolate milk, it is not hot chocolate pudding, it is simply ‘hot chocolate’. A perfect way to warm yourself up after a beautiful Skopje city walk in autumn. 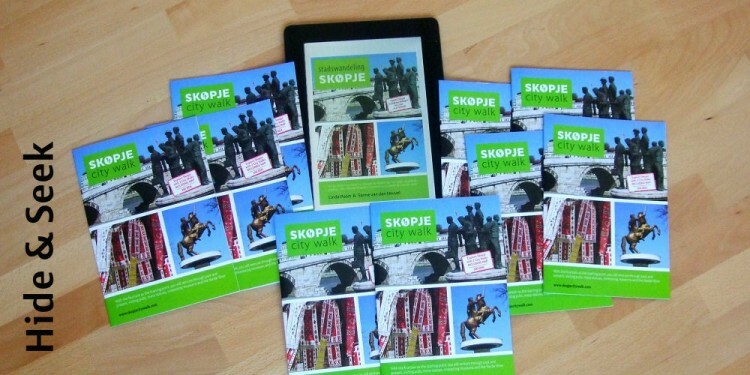 Skopje City Walk now also available as e-book! It is party time! After a few weeks of hard work, Skopje City Walk is finally available as a digital version as well. Not only in pdf and rtf, for easy printing, but also as epub to read on your tablet or iPad and as mobi for your Kindle e-reader. Hooray! All these online versions of Skopje City Walk can be downloaded at the website of Smashwords. We have chosen for this website because Smashwords allows everyone to publish their e-books for free. We only pay a percentage to Smashwords when our e-book is actually sold. This is a fair concept. And not only that, Smashwords also ensures that Skopje City Walk will soon be directly available in the Apple iBookstore and the webshops of Barnes & Noble, Diesel, Kobo, Sony and Baker & Taylor. So that means several birds with only one stone. UPDATE MAY 2014: We no longer sell our city walks through Smashwords. Because even though this website is really great, it didn’t do our guide justice. We want to show off our design, which is now possible through E-junkie. To pay some attention to the printed version of the Skopje City Walk in a playful way, we started weekly coffee morning meetings. We host these meetings through CouchSurfing, a platform for and by travelers. 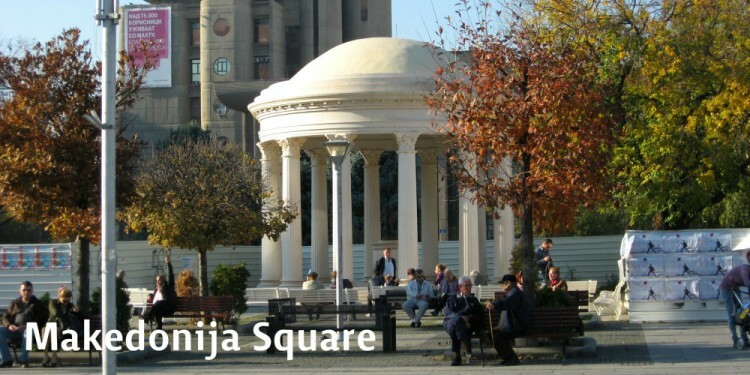 Not only can travelers who are on a holiday in Skopje, start the day with a nice cup of coffee on the main square (the starting point of the two walks), but they can also buy the city walk, ask us questions and get in touch with other travelers. This is a perfect solution until the brochures are available for sale in the kiosks. And we might even continue the meetings after that, because it is also very nice! The summer season slows things down a bit. We take turns in going on a holiday, and managers and directors are not always available either. Fortunately, things keep rolling forward nonetheless. We are active on Facebook and Twitter, but also think about a promotional event and a plan to find more points of sale. There is a lot of brain-work going on, but luckily we get lots of pointers from the people around us. In addition, we dive further into the digital world. We learn the difference between an ebook and an epub and we do some research on how we can publish these through various channels. (Hint: this is a complicated and lengthy process.) Tangible products are fun, but digital books are gaining more and more importance nowadays. 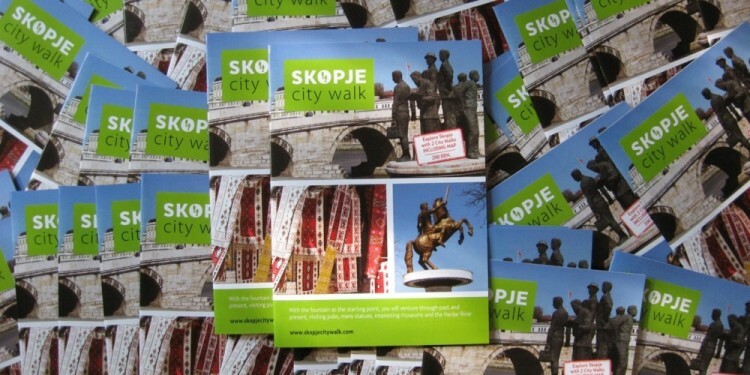 We are getting very excited by the idea that we will finally be able to offer a digital version of the Skopje City Walk. All over the world! This morning we received the first 1.000 copies of our brochure. Four full boxes. We toasted with a big glass of freshly squeezed orange juice. A healthy city walker does not drink champagne during the day! Tomorrow we will revisit all the hotels and other potential selling points that were interested in purchasing the Skopje City Walk. Just a little bit longer and our brochures are really lying on the shelves!